This is the second complete audiobook I have ever listened to, and I have to say that they’re really growing on me! The Secret Adversary is the second Agatha Christie book I have ever read, and it definitely has made me want to read more of her books. As far as the audiobook itself is concerned, the narrator was FANTASTIC. The particular audiobook I listened to was narrated by Nadia May, and she did countless different accents and voices for all of the characters. She slipped seamlessly between all of their accents, even when the dialogue was fast-paced and between several characters. I tend to be really picky for some reason when it comes to narrators, but she was excellent! For the most part this story was entertaining and suspenseful, especially towards the end. It has a sort of double twist, which was extremely clever and very well planned as far as tiny details are concerned.The two main characters, Tuppence and Tommy, made the mystery even better. I ship them so much! They balance each other out so perfectly, and they’re both incredibly witty. Tuppence is a great independent female character, and stands out sharply against the interesting backdrop of the WWI time period. The setting also added to the atmosphere of the story, especially since this was a mystery involving multiple nations and the world had just experienced its first global war. However, I do have to say that I think it could have been a bit shorter. The middle part of the story seemed to drag on, and there were a few twists that just didn’t seem all that necessary. I never thought I would say this about a book, but I actually think that there could have been fewer plot twists. After a while I began to grow wearisome, and all I wanted Christie to do was skip all the fluff and cut to the chase. The surprises in the climactic scenes and at the very end were great, but the portion in the middle could have been cut down a little. Overall, this novel was definitely one well-worth reading. And Then There Were None, the first Agatha Christie novel I ever read, is still my favorite, but this one is excellent nonetheless. I look forward to reading more of her work in the future! Would I recommend it to a friend? : Definitely! It’s a good old-fashioned mystery that I think everyone can enjoy. 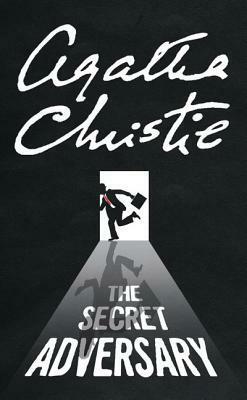 Have you read any of Agatha Christie’s work? What books of hers would you recommend? Let me know in the comments section below! Next > the christmas carol book tag. Whoa! If you like this one, maybe you should try ‘N or M’, or the really scary ‘By the Pricking of my Thumbs’. Both feature Tommy and Tuppence, but by far, my favourite is ‘Sparkling Cyanide’.